Gennady Golovkin back in boxing ring this month where he will be facing one of the top challengers Canelo Alvarez. It is one of the most anticipated fight of the year where two best boxers of the world fight. Golovkin currently unbeaten in his boxing career and many times he out performed his opponent in rign. 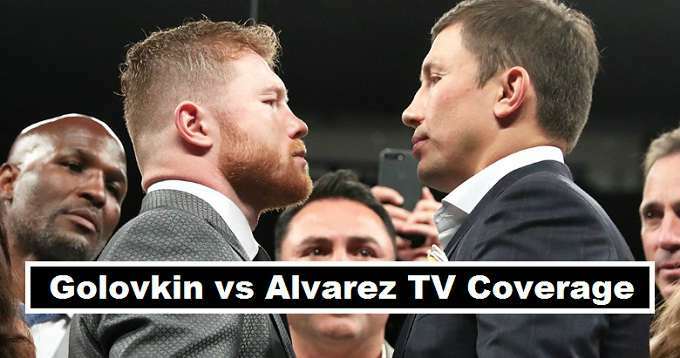 Where to watch the match between Golovkin and Alvarez and what channels will be broadcasting match all details will be updated here. The boxing match already create big hype boxing pundits expecting it will break some PPV records. The fight will take place in T-Mobile Arena, in Las Vegas on 16th September. In United States fight will be broadcast on (HBO) channel because its their official PPV main card. The fight card began from (8 PM Eastern time and 5 PM prime time). Before the main card ppv fight there are three other under-card fights that will take place. In United Kingdom, fight will be air on channel (Box Nation). In Scotland, Ireland and Wales you can watch fight coverage on (Box Nation). To watch the main PPV event you need to subscribe the channel. PPV price for this fight is subjected (£16.95) by the channel to get the full coverage. Mostly channels that are mention above shown the coverage of boxing matches held each year. We are not sure that all channels details are correct but these channels air the (PPV) high profile fights in their territories. Channels list will be updated once the official broadcasters announced for the fight.